Based in Greater Boston Massachusetts, we provide humane animal removal services. Please use the menu on the left to learn more about us and the services that we provide. 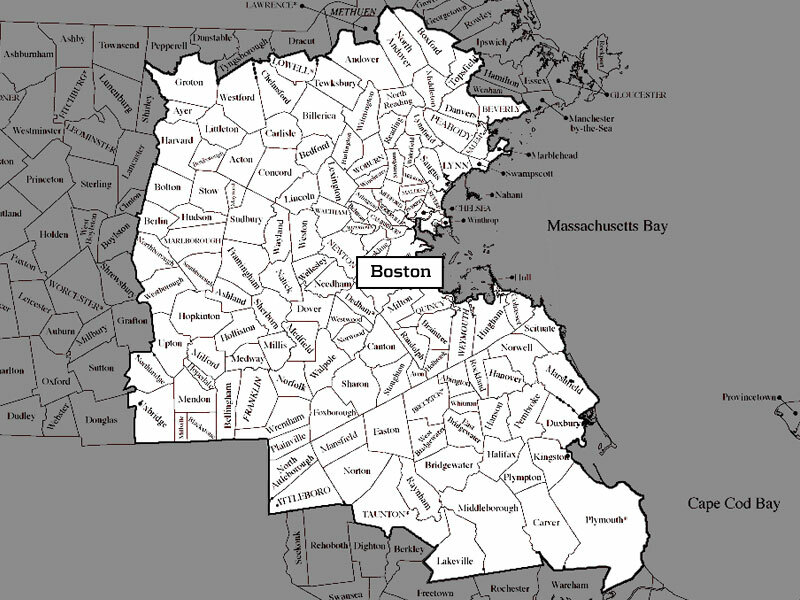 Our service area includes all cities and towns inside route 495 and the Metro Boston Area. Do you have questions? Please visit our contact page. Our main area of expertise is providing Bat control in Massachusetts. We also provide Squirrel control in Boston and the surrounding areas. From the quiet suburban areas of metro-west to downtown Cambridge, bats are found in great numbers throughout our service area. In urban areas we find small colonies of bats in lots of houses. In the areas close to Route 495 we see larger colonies of bats because the houses and buildings are not as numerous. We are experts at getting rid of bats and we provide professional bat control services throughout the Greater Boston Area. Gray squirrels are also found throughout our service area. These critters are a pest for homeowners in the city as well as rural areas. Flying squirrels on the other hand are found mostly in the rural and suburban areas along the route 495 belt. We have been providing professional squirrel control in Massachusetts for many years. If its gray squirrels chewing their way into your home or flying squirrels keeping you up at night we can help. Bird control in Boston usually means a pigeon problem. Occasionally we remove starlings and other birds from dryer/bathroom vents but mostly we do commercial pigeon control services for companies. Pigeons roost on buildings and over entry-ways and leave their droppings everywhere. This causes property damage and creates a health hazard. Raccoons in Massachusetts are very skillful and intelligent creatures. They have adapted and learned to survive in both city and suburban areas. These raccoons will create their own entry points by tearing apart roofs, chewing apart vents and tearing off chimney caps if not installed properly. We provide professional Raccoon Removal in Greater Boston and in all areas inside of Route 495. Skunks in the city take refuge in drainage systems and under buildings because their natural habitat has been replaced by skyscrapers. While suburban skunks will take up residence under decks, sheds and porches. In both situations these skunks become a problem when they release their strong musk in these areas. In the winter months we specialize in getting rid of skunks in the metro-Boston area. We are wildlife-removal specialist servicing Greater Boston and all the surrounding suburbs inside or Route 495. We are NOT exterminators in that we do not "Exterminate" animals. We do not use chemicals and we trap and remove animals in humane live-catch traps. Animal control is our specialty and we do not provide pest control for termites or other insects. Cambridge, Somerville, Brookline, Watertown, Milton, Quincy, Everett, Malden, Melrose, Saugus, Stoneham, Winchester, Lynn, Wakefield, Woburn, Lexington, Burlington, Bedford, Concord, Sudbury, Reading, North Reading, Wilmington, Peabody, Danvers, Salem, Middleton, Lincoln, Waltham, Newton, Weston, Sudbury, Wayland, Natick, Wellesley, Needham, Dover, Sherborn, Medford, Medfield, Millis, Westwood, Dedham, Walpole, Norwood, Sharon, Foxboro, Stoughton, Avon, Upton, Milford, Medway, Harvard, Hudson, Bolton, Hopkinton, Ashland, Framingham, Groton, Shirley, Westford, Clinton, Franklin, Norfolk, Wrentham, Plainville, Bellingham, Mendon, Hopedale, Holliston, Marlboro, Southboro, Stow, Boxborough, Northborough, Berlin, Maynard, Carlisle, Littleton, Billerica, Bedford, Lincoln, North Attleboro, Easton, Mansfield, Taunton, Randolph, Braintree, Holbrook, Brockton, Abington, Weymouth, Hingham, Hull, Cohasset, Scituate, Norwell, Hanover, Rockland, Abington, Whitman, Hanson, Pembroke, Marshfield, Raynham, Bridgewater, Hanson, Pembroke, Mansfield, Norton, Middleboro, Plymouth, Kingston, Duxbury. If you have any Questions about Our Wildlife Removal Services or would like to setup an appointment for an Inspection you can contact us by Phone or by email.